Path Forward is frequently asked about interview follow up — usually something along the lines of “How often is too often to check in?” or “How long can I / should I wait before following up on a job application?” Mostly, candidates seem concerned about being too aggressive in contacting recruiters or hiring managers. But my conversations with recruiters and hiring managers, including my own experiences, that a lack of follow up seems to be a bigger issue. I was shocked to hear about candidates who skipped thank you notes! 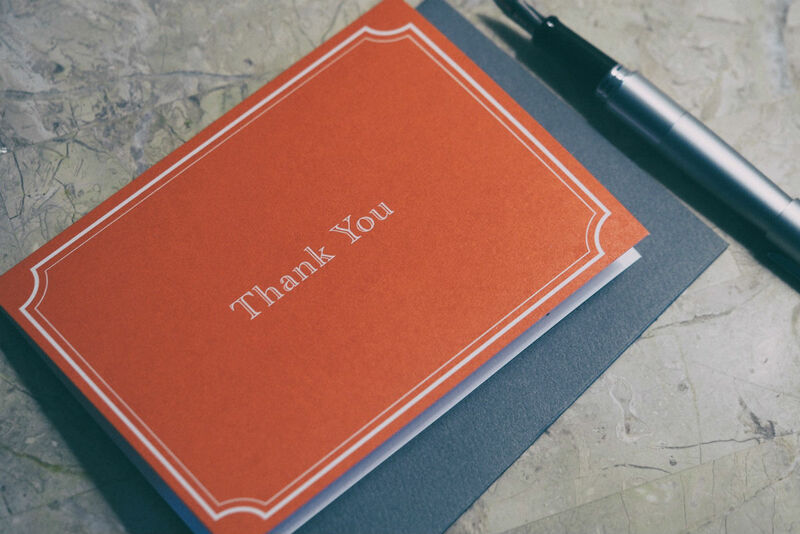 Make no mistake: not sending a thank you note will be the end of your candidacy for many hiring managers. It’s not the lack of courtesy (though that isn’t a great sign either) — it’s the perception of either disinteret or an inability to follow up. If you won’t take a few minutes to write an email after an interview how interested can you be in the job? If you don’t follow up with me, how can I trust that you will follow up with colleagues or clients? Rule #2: Use the thank you email to advance your candidacy. The email you send after your interview is actually not just a courtesy, it’s an opportunity for you to advance your candidacy. Refer to something you learned about the role and the company during your interview. Reiterate how you believe you can be a valuable contributor. Did you flub a question? A follow up email is the perfect place to have a second go at it. “Having more time to consider your question about my biggest challenge, I’d like to add …” You do need to keep it relatively brief, but one or two paragraphs is reasonable and gives plenty of space to elaborate and extend the conversation. Rule #3: Send thank you notes after every interview, even second and third interviews with the same person. Again, it’s not about courtesy (though thanking someone for spending more time with you is reason enough to write another note), it’s about advancing your candidacy. Follow the advice in rule #2, above, but kick it up even a notch or two. You should know more about the company and the role so you should be able to use this email to make an impression based on what you’ve learned. Rule #4: Send different emails when following up with multiple interviewers. Yes, they will share them and it will be noticed if you cut-and-paste the same email for everyone. Using the advice in rule #2, above, focus on what each interviewer cares about. Emails to interviewers who are not the hiring manager can be much briefer and more focused on thanking them for their time. But you can still slip in a sentence or two that shows you were paying attention to the conversation and noticed what was important to them. The only exception to this rule is when you’ve been interviewed by multiple people at the same time. In this instance, it’s okay to send a similar email to every person, or even send one email to the entire group at once, because you’ve only had one conversation. Rule #5: Handwritten notes are optional and don’t replace an email. I used to think of handwritten notes and emails as interchangeable, but I’ve changed my view on that. That’s primarily because of speed and, more importantly, the way an email can be used to advance one’s candidacy. There just isn’t enough space on a standard notecard to write very much, and it’s simply not timely enough. So I’ve come to see a lovely handwritten note, sent after your thank you email, as a nice touch — may not help, likely won’t hurt and could make you stand out. But it absolutely doesn’t replace a well-written email, using the advice above.